I am writing on behalf of Clean Air in London (CAL) to lodge formally with the European Commission (Commission) a three-part complaint against the UK for measures or practices incompatible with one or more provisions or principles of European Union (EU) law (the Complaint). ‘Part one’ of the Complaint is that the Secretary of State for Transport proceeded with the permanent removal of the M4 bus lane despite it causing aggravated, unmitigated and ongoing breaches of the NO2 annual limit value with breaches projected to continue into 2014 (or beyond). Worse, the Secretary of State for Transport decided not to undertake any mitigation. ‘Part two’ of the Complaint is that the Secretary of State for Transport has failed to treat aggravated breaches of an EU limit value as ‘significant’ and undertake an Environmental Impact Assessment. Worse, the Secretary of State for Transport decided not even to hold a consultation or inquiry. ‘Part three’ of the Complaint is that the legislative instrument used by the Government prevents CAL from benefiting from the cost rules for environmental cases and seeking national means of redress. Worse, the Government’s failure to undertake an EIA, which could have been challenged with such benefits, makes the current situation particularly egregious. and last but not least, the Secretary of State’s decision on 2 September 2013 to proceed with the permanent removal of the M4 bus lane was taken when the Commission is hopefully in the final stages of discussions with the UK about possible infraction action for breaching the NO2 annual limit value in 16 zones including Greater London. CAL urges the Commission to pursue infringement action against the UK in this case relating to the M4 bus lane, including a referral to the Court of Justice of the European Union, to enforce the NO2 limit values in Greater London where the Government is treating EU limit values with contempt. Please ‘throw the rule book’ at the UK. Please note the UK Government refers to ‘receptors’ not people or locations. For the avoidance of doubt, CAL is requesting that this complaint be investigated and pursued separately and in addition to wider infraction action against the UK to enforce NO2 limit values including in Greater London. In accordance with the rules of the Commission, please will the Secretary-General of the Commission acknowledge receipt of this Complaint within 15 working days of receipt (providing an official reference number) and examine it within one month regarding the decision to classify it as a complaint. I understand that the Commission will endeavour to take a decision on the substance (either to open infringement proceedings or to close the case) within 12 months of registration of a complaint with its Secretariat-General. CAL would welcome a meeting with Commissioner Potočnik and/or his senior team or the Secretariat-General to discuss this Complaint. Harrision Grant Solicitors are acting for CAL. The ‘M4 bus lane’ was introduced on 1 January 1999 to give buses, coaches and taxis – particularly from Heathrow airport – their own lane, if they wished to use it, to travel eastbound into London on the M4 motorway (Exhibits 1 and 2). There is a detailed timeline in note 1 in the Appendix. Philip Hammond, Secretary of State for Transport, announced the suspension of the M4 bus lane on 4 October 2010. This announcement seems to have been made without proper consideration being given to the environmental and public health impacts and/or statutory protections. There have been two subsequent Secretaries of State for Transport i.e. Justine Greening and Patrick McLoughlin. The Highways Agency (HA) is an Executive Agency of the Department for Transport (DfT) which is responsible for operating, maintaining and improving the strategic road network in England on behalf of the Secretary of State for Transport. The M4 bus lane was suspended temporarily by the HA on 24 December 2010 and has remained suspended since that time. The legal arrangements temporarily suspending the M4 bus lane expire on 9 October 2013 and cannot be extended thereafter. It must therefore be reinstated on 10 October 2013 unless permanently removed. CAL has written to the HA and/or the Secretary of State for Transport several times over the last 18 months objecting to the suspension of the M4 bus lane and its permanent removal creating aggravated, unmitigated and ongoing breaches of the NO2 annual limit value. These communications included letters dated 15 May 2012 (Exhibit 3), 3 October 2012 (Exhibit 4) and 17 May 2013 (Exhibit 5) (which received a reply dated 19 June 2013; Exhibit 6). 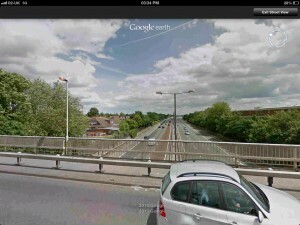 CAL and the London Borough of Hounslow (which had also objected to the permanent suspension of the M4 bus lane) met the HA on 18 September 2012. Despite CAL’s letters and the meeting, CAL received no substantive response from the HA to its concerns until 7 August 2013 when the HA sent it an ‘Environmental Assessment Report’ (EAR) dated May 2013 (Exhibit 7). After requesting further information from the HA on 7 August, CAL received some from the HA on 14 August (Exhibit 8 ) and a letter on 21 August (Exhibit 9) stating “The Secretary of State is satisfied that the proposal should proceed and has decided that this Order should be made as published in draft in April ”. CAL note: the HA stated April 2011 but meant April 2012. CAL received further emails of explanation on 20 September (Exhibit 10), 2 October (Exhibit 11) and 4 October (Exhibit 12). Harrison Grant Solicitors wrote to the Secretary of State for Transport on 23 August 2013 (Exhibit 13) inviting him to reconsider his decision. No response has been received. An HA briefing note (Exhibit 14) on a report on the impact of the suspension of the M4 bus lane dated 5 April 2012 (Exhibit 15), estimated a journey saving of 44 seconds per vehicle during the morning peak period (6am to 10am) and 1 minute 18 seconds for the total journey times for all lanes averaged to provide a per lane, per vehicle journey time saving throughout the day. The same HA briefing note also stated “Concentrations at receptors near the M4 bus lane [are] predicted to be higher with the suspension of the M4 bus lane. This is probably due to more [diesel] buses and coaches moving away from what was the bus lane (lane 3) to lanes 1 and 2. All these type vehicles are now restricted to lanes 1 and 2 which are closer to the receptors. Average speeds are now shown to be higher without the bus lane in operation which would have contributed to higher concentrations. There has also been an increase in traffic in 2011 compared to 2010.” CAL comment: Please note that motorists in the UK ‘drive on the left’ of the road. 35 receptors which would be below the NO2 annual limit value with the M4 bus lane in place would exceed it without it (when the concentrations modelled in both scenarios were rounded to the nearest whole number i.e. 40 micrograms per cubic metre (ug/m3) and 41 ug/m3 in this case). CAL comment: Please note that these effects are likely to be fairly accurate given the HA and its consultants were able to measure actual NO2 concentrations without the bus lane and compare them with concentrations beforehand. 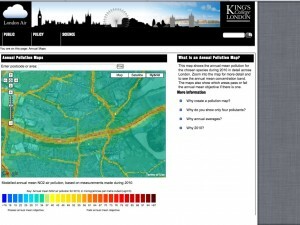 In essence therefore, successive Secretaries of State and the HA have reduced average journey times by about one minute for motorists on the eastbound carriageway of the M4 while worsening air pollution for hundreds and perhaps thousands of people year-round and breaching EU air quality laws at 35 or more locations. More detailed information about the timeline and information released can be seen in note 1 in the Appendix. Please contact CAL if you wish to see any of the items referred to therein. ‘Part one’ of the Complaint is that the Secretary of State for Transport proceeded with the permanent removal of the M4 bus lane despite it causing aggravated, unmitigated and ongoing breaches of the NO2 annual limit value with breaches projected to continue into 2014. 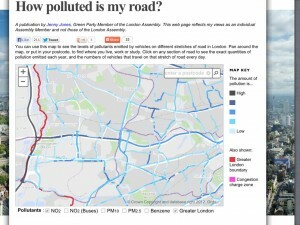 Worse, the Secretary of State for Transport decided not to undertake any mitigation. As you know, limit values are at the heart of Directive 2008/50/EC on ambient air quality and cleaner air for Europe. Limit values must be attained within a given period and not exceeded thereafter; and apply everywhere in ambient air (i.e. outdoor air in the troposphere excluding workplaces to which members of the public do not have regular access) with three specific exclusions (Annex III). The requirements are absolute in order to protect public health and proportional i.e. it is likely to be much easier to mitigate the effects causing one breach than many. Air pollution may not be worsened where it exceeds limit values. Legal references are provided in note 6 in the Appendix. Note that the UK’s Environment Act 1995 introduced the concept of ‘receptors’ which is not repeated in EU law. It is clear from the HA’s own EAR (Exhibit 7) on the impact of the removal of the bus lane, which provides details of NO2 concentrations at a series of receptors in an area neighbouring the bus lane, that suspending and/or removing the M4 bus lane has caused the UK to breach Directive 2008/50/EC. As above, the EAR admits that “all receptors would experience a deterioration in air quality”, and that for 35 of those receptors, this deterioration would have the effect of taking concentrations above the NO2 annual limit value (pages 16 to 18 of the EAR). “This area has been in breach of Environment Act, s 86 (Air Quality) and objective thresholds set in the UK Air Quality (England) (Amendment) 2002, since the Air Quality Management Area was declared by Hounslow in 2002. The air quality assessment in accordance with advice set out in IAN 175/13 Compliance Risk Assessment has identified that the scheme would have a high compliance risk in respect of the EU Directive on ambient air quality. Our analysis concludes that the changes in nitrogen dioxide are small and will return to pre-proposal levels within two years, and therefore the impact on air quality on suspending the bus lane is concluded not to be significant.” See paragraph 5c. CAL emphasis. “The main alternative would be to reinstate the bus lane, however this would reverse the benefits experienced since it was suspended and would not achieve the Agency’s objective to improve journey time reliability. 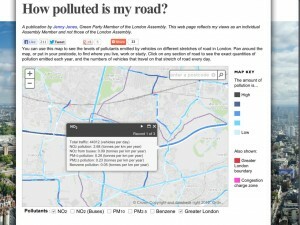 Another alternative would be to introduce some form of car sharing however such lanes are not part of Department for Transport policy, there is no evidence that they would be effective in managing air quality, and any such lane would be enforced by the Police and therefore its effectiveness would be outside our control. We have also investigated whether a barrier could shield residents from pollutants, but the evidence from on-road tests elsewhere is that this would be unlikely to be effective.” See paragraph 5d. “…The EAR considers a full range of air quality mitigation measures, and concludes that the only feasibly measure would be to reduce the speed limit at this location. Such a measure would reverse some of the journey time savings experienced since this bus lane was suspended, would rely on the Police to enforce, and might not improve air quality significantly.” See paragraph 5f. “In view of the above considerations, the Secretary of State is satisfied that the proposal should proceed and has decided that this Order should be made as published in draft in April 2011.” See paragraph 6. The facts are straightforward i.e. the NO2 annual limit value at 35 locations (and perhaps over 300), having been attained by 31 December 2010 or projected to be attained by 31 December 2011, was exceeded in calendar 2011 and NO2 concentrations worsened above the limit value at 450 locations. No mitigation is being undertaken to ameliorate these impacts in part or whole. Do air quality impacts ‘Lead to a breach or significant worsening of a breach of an EU Limit Value; cause a new breach to occur, or introduce new exposure into an exceedance area? If yes, ‘Air quality is an overriding consideration’. See Figure 1 on page 23. CAL emphasis. The recommendation for an ‘overriding consideration’ is to ‘Require mitigation measures to remove ‘overriding’ impacts. If the impact is still ‘overriding’, there should be a strong presumption for a recommendation for refusal on air quality grounds’. See Table 7 on page 22. ‘Part one’ of the Complaint is that the Secretary of State for Transport has caused aggravated, unmitigated and ongoing breaches of the NO2 annual limit value in Greater London i.e. a zone for which no time extension has been sought and the Supreme Court has declared to be in breach of the NO2 annual limit value. Please take account of the 10 exacerbating considerations on page 2. ‘Part two’ of the Complaint is that the Secretary of State for Transport has failed to treat aggravated breaches of an EU limit value as ‘significant’ and therefore requiring an Environmental Impact Assessment (EIA). Worse, the Secretary of State for Transport decided not even to hold a consultation or inquiry. “The European Community (EC) Directive 2001/92/EC requires that an Environmental Impact Assessment (EIA) should be undertaken by the promoters of certain types of development to identify and assess the environmental consequences of projects before development consent is given. The requirements for qualification for a statutory EIA, the process by which an EIA should be undertaken are detailed within Directive 2011/92/EU and revises Directives 85/337/EEC, and its amendments 97/11/EC, 2003/35/EC and 2009/31/EC. “The Scheme, as an Annex II relevant project, requires an appropriate level of environmental review. The level of environmental review undertaken determined his scheme qualified as a “relevant project” but the impacts of the scheme as proposed would not give rise to significant effects.” CAL emphasis. ‘The Secretary of State [for Transport] has given careful consideration to whether, in the light of [these] objections, an inquiry should be held. However, the Secretary of State concluded that an inquiry was unlikely to produce any significant new information relevant to the decision. For this reason, the Secretary of State has decided not to hold an inquiry.’ See paragraph 4 on page 2. The Secretary of State’s decision to proceed without conducting an EIA is unlawful. The Court of Justice of the European Union has clearly stated that “no project likely to have significant effects on the environment… should be exempt from assessment, unless the specific project excluded could, on the basis of a comprehensive screening, be regarded as not being likely to have such effects.” (C-435/97 WWF and Others  ECR I-5613 at ). Despite the acknowledged increase in the concentration of NO2, which would at 35 receptors (and perhaps over 300) take the concentration above the limit value established by EU law, the HA considers that no EIA is necessary as “the impacts of the scheme as proposed would not give rise to significant effects”. This conclusion is irrational since limit values, by definition, must not be exceeded having been attained. The significance of the increase can be illustrated by reference to what would be necessary in order to mitigate its effect e.g. speed limits, car sharing lane, banning diesel vehicles from the nearside lane etc. The failure to conduct an EIA means that those affected by the deterioration in air quality were not consulted. Further there was no inquiry. ‘Part two’ of CAL’s complaint therefore is that the Secretary of State for Transport has failed to treat aggravated, ongoing and unmitigated breaches of an EU limit value as ‘significant’ and undertake an EIA with a consultation. Please take account of the 10 exacerbating considerations on page 2 of this letter. ‘Part three’ of the Complaint is that the legislative instrument used by the Government to give effect its policy has not allowed CAL to seek cost protections to launch a legal challenge or national means of redress. It is well known that legal costs in the High Court in England and Wales can be very high. A party must not only pay the Court fee and their own costs, but must also risk an adverse costs order. The Government has changed the rules for some environmental cases in the High Court. If the case is a judicial review and is within the terms of the Aarhus convention, then the claimant will risk no more than £5,000 in adverse costs, or £10,000 for a group. However, this rule applies only to cases of judicial review. The Road Traffic Regulation Act 1984 Schedule 9, Part VI, paragraph 35 provides that a Traffic Order can be challenged only by way of statutory review. It follows that that is the only way to challenge the order i.e. the failure to carry out an EIA and implement mitigation to offset new exceedances of the NO2 annual limit value and the worsening of existing breaches. A statutory review is not a judicial review. Its omission from the cost protection rules by the Government was deliberate – and not accidental – as is clear from the Government’s response to the consultation it held on changing the Court rules. The provisions introduced to make environmental judicial reviews affordable and within the terms of the Aarhus Convention and the EIA Directive could not therefore be applied by CAL to this case. CAL would therefore have to apply to the Court for a Protective Costs Order (PCO). This procedure could be as or more expensive for CAL than simply proceeding to a hearing of its claim. If CAL were to apply for a PCO then it would again risk adverse costs, in a hearing which could be as extensive as that of the substantive case. ‘Part three’ of CAL’s complaint therefore is that the procedure for challenging the making of the Traffic Order without mitigation is prohibitively expensive and without national means of redress. Worse, the Government’s failure to undertake an EIA, which could have been challenged without such costs and risks, makes the current situation particularly egregious. Please take account of the 10 exacerbating considerations on page 2 of this letter. It is clear the Secretary of State for Transport decided to remove the M4 bus lane in October 2010 without proper consideration to the environmental and public health impacts and/or statutory protections. Because the legal framework required the reinstatement of the M4 bus lane by 10 October 2013 if it had not been removed the Government had no time to hold a public inquiry or consultation if it wanted to avoid reinstating the M4 bus lane. The HA also told CAL in a meeting on 18 September 2012, attended by Hounslow Council, that it had no money for mitigation measures. It seems therefore every effort has been made by the Government in the last two years to avoid a consultation or an inquiry or the implementation of mitigation measures. CAL has identified at least 10 factors which emphasise the seriousness of this three-part complaint (see page 2 of this letter). Please therefore pursue infringement action against the UK specifically in relation to the M4 bus lane, including a referral to the Court of Justice of the European Union, to enforce the NO2 limit values in Greater London where the Government is treating EU limit values with contempt. 1. HA writes to CAL further to the meeting on 18 September 2012 saying the result of [the] work are now available in the attached ‘Environmental Assessment Report’. The Government downplays the health impacts of nitrogen dioxide (NO2), failing to mention that it is the only ‘modern’ molecule within the whole gaseous component of air pollution subject to World Health Organisation guidelines and legal limits. Whereas the particle component of air pollution is regulated by its total mass concentration, gases other than NO2 are largely ignored. It is vital therefore that levels of NO2 are reduced to avoid: its direct health effects and those of other toxic pollutants from combustion; and its contribution with nitrogen monoxide as a precursor to the formation of deadly particles. Sulphur dioxide, which is also regulated, has been largely eliminated as a problem by the use of ultra low sulphur fuels. Air pollution is also an equality issue. Policy Exchange found, in its report titled Something in the Air: The forgotten crisis of Britain’s poor air quality that in the worst 10% of London for NO2, 5-10 year old children are 47% more likely than the London average to be eligible for free school meals and residents are 26% more likely than the London average to be on income support. 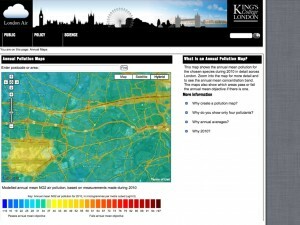 Levels of NO2 in London are the highest of any capital city in Europe. But this is not just a London problem. The UK has the highest proportions of zones exceeding the NO2 annual limit value plus margin of tolerance of any country in Europe. And yet, nothing is being done. NO2 limit values have been in legislation since 1999 and required to be complied with by January 2010. The UK has refused even to apply for a time extension until January 2015 for 16 of 43 UK zones to comply with these requirements as allowed by Directive 2008/50/EC on ambient air quality and cleaner air for Europe. The HA has stated that the “M4 Bus Lane scheme is located in Defra’s Greater London Zone and Defra have currently reported to the European Commission that this zone is likely to exceed the EU Limit Values beyond 2030”. Air quality status should be maintained where it is already good, or improved. Where the objectives for ambient air quality laid down in this Directive are not met, Member States should take action in order to comply with the limit values and critical levels, and where possible, to attain the target values and long-term objectives. CAL emphasis. Member States shall ensure that, throughout their zones and agglomerations, levels of sulphur dioxide, PM10, lead, and carbon monoxide in ambient air do not exceed the limit values laid down in Annex XI. In respect of nitrogen dioxide and benzene, the limit values specified in Annex XI may not be exceeded from the dates specified therein. Compliance with these requirements shall be assessed in accordance with Annex III. The margins of tolerance laid down in Annex XI shall apply in accordance with Article 22(3) and Article 23(1). The alert thresholds for concentrations of sulphur dioxide and nitrogen dioxide in ambient air shall be those laid down in Section A of Annex XII. Ambient air quality shall be assessed at all locations except those listed in paragraph 2, in accordance with the criteria established by Sections B and C for the location of sampling points for fixed measurement. The principles established by Sections B and C shall also apply in so far as they are relevant in identifying the specific locations in which concentration of the relevant pollutants are established where ambient air quality is assessed by indicative measurement or modelling. c) in the carriageway of roads; and on the central reservations of roads except where there is normally pedestrian access to the central reservation. The Environment Act 1995 introduced the concept of ‘receptors’ which does not exist in Directive 2008/50/EC. 7. 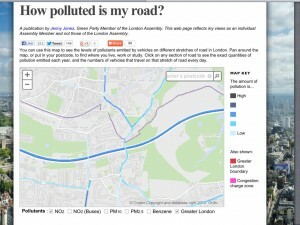 How polluted in my road? 8. How polluted is my school?